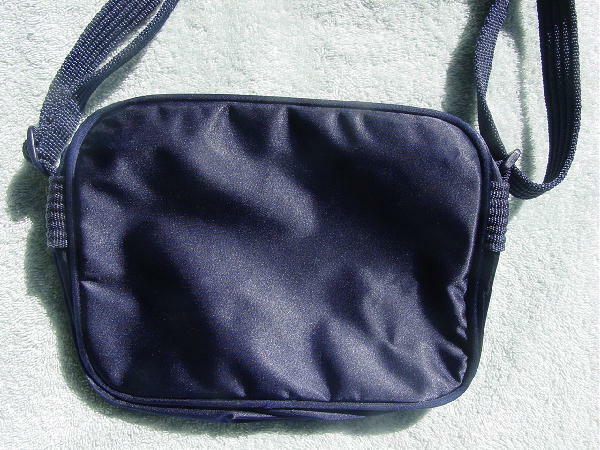 This shiny dark blue fabric purse has a top side to side zipper and a front horizontal side to side zipper. The front has a small blue strap with a snap which snaps below the zipper. The interior has a blue fabric lining and the center interior section also has a large zippered compartment. There is a 24" dark blue double textured fabric cord handle. The upper right back has a light diamond shape spot. The front has some white spots across the front rim and upper front. 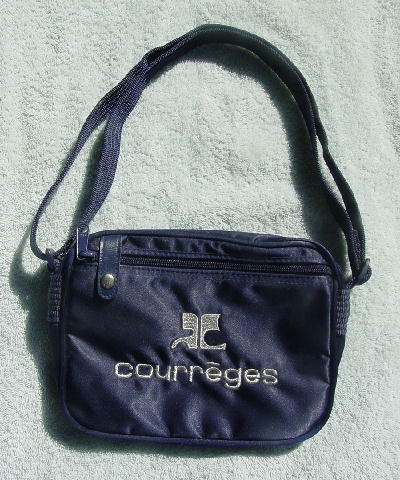 It has a silver metallic thread logo and the Courreges name across the front. She said she bought it with all the spots.